Feeling some mom guilt today? Of course you are! Let’s make a game of it. 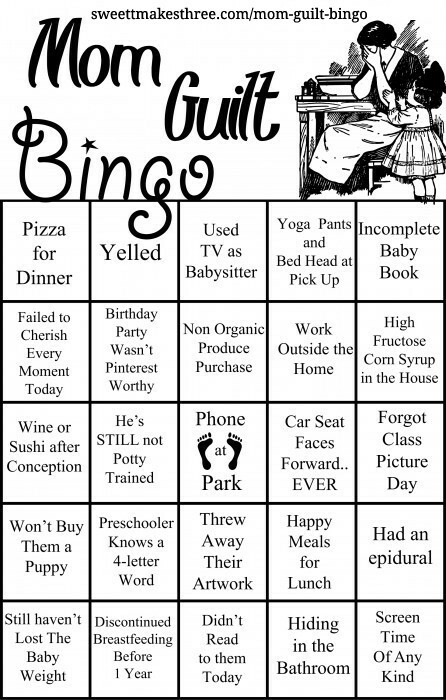 Mom Guilt Bingo is perfect for Mom’s night out, where you’re already feeling guilty for enjoying the break you are taking from the kids. Everyone gets a free space for looking at their phone at the park. Didn’t get a blackout today? How about some Valentine’s box guilt instead.